Keith Brymer Jones is an expert ceramicist with over three decades of experience and has, more recently, appeared as a judge on BBC2’s The Great Pottery Throw Down. Keith would consider himself a Londoner through and through as he was born and brought up in North London. Growing up, Keith lived with his mum and sister and had a great talent and fondness for dance, in particular ballet. In fact, Keith still uses the same determination and discipline he was taught in dance all those years ago in his working life nowadays. It wasn’t until an art class in Keith’s first year at secondary school that he first touched clay and made himself a pottery owl. He loved the malleability of clay and the escapism that he felt manipulating it and that’s when Keith was hooked on ceramics and knew he wanted to be a potter! Throughout secondary school, Keith visited the art classroom to make pots as often as he could… break times, lunchtimes, after school and even before school. Luckily for Keith, he was the only one who wanted to use the art classroom and kiln so he had it all to himself. Keith used to love going to see the ceramics at the Victoria and Albert Museum so much that occasionally he would bunk off school to go and draw them. On completing school, Keith advertised for an apprenticeship in a pottery in Ceramic Review magazine and got his first job as a clay boy in Harefield Pottery. Keith spent his time at Harefield Pottery learning all the specialised skills that he still uses today and working his way up the ranks. After five years, Keith’s bosses decided to relocate the pottery to Northern Scotland so, despite the invite, Keith decided he’d rather open his own studio in Highgate. Keith worked in this studio for many years handmaking large orders for renowned retailers such as Laura Ashley, Monsoon, Conran, Habitat and Heals. At one point, Keith was making 1000 pots in one day and fulfilling orders of up to 16,000 pieces by hand. The buyers at Laura Ashley were unconvinced that Keith could possibly be doing this all himself so paid a visit to the studio to check and sure enough… Keith proved them wrong! It was also during this time that Keith’s Word Range was conceived and began to develop. The Word Range is a collection of super white porcelain ceramics which feature a coloured, hand-stamped word in retro, typewriter font. The Word Range originates from Keith having dyslexia growing up and initially viewing words as shapes so considering them perfect as a design concept to decorate ceramics. The first word that Keith ever stamped on a ceramic was ‘Love’ as he thinks it’s the most important word however his favourite word is ‘hot’ as he likes its visual symmetry. The first item in the Word Range was the bucket mug which originated as a replication of the shape of the water bucket that Keith uses when throwing on his potter’s wheel. 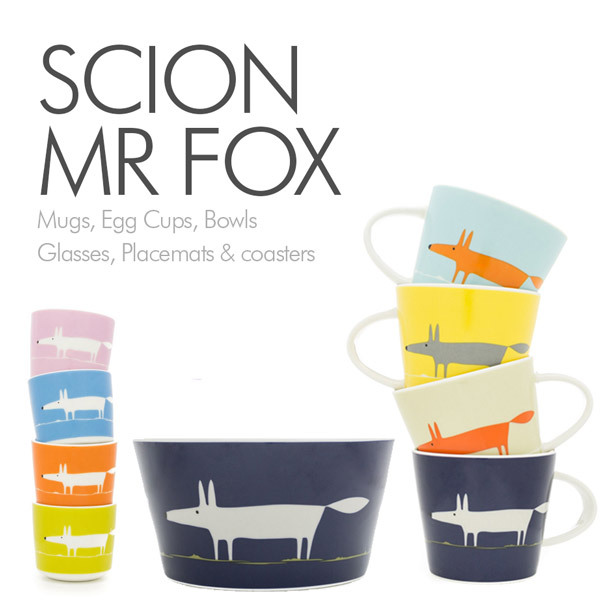 The bucket mug remains unchanged in over twenty years and has been joined by plenty more products…bowls, egg cups, plates, espresso cups and vases amongst many more. The Keith Brymer Jones Word Range is now a successful, award-winning brand which is distributed and sold in over forty countries and has a large, loyal following. In 2008, Keith met his business partner Dominic at a trade fair and joined Dominic’s business, MAKE International, as a Director and Head of Design. Keith set up a new studio, a converted bakery, in Whitstable in Kent where he still works today. MAKE International provided a platform for Keith to not only develop and expand his own Word Range and other KBJ ranges but also work collaboratively with other top British designers to add new brands to MAKE’s portfolio. Designers like Scion and Jane Foster, amongst others, provide surface patterns whilst Keith designs the shape of the items. Every single prototype is still designed by Keith in his studio in Whitstable however he now takes the prototype to China to be mass produced. Keith has a team of fulltime staff employed by MAKE International who he visits twice year to work on the factory floor with and ensure that the products maintain the same stringent specification of his prototype. Keith is proud to manufacture responsibility in China and has made a fun video to let everyone know here. It is Keith’s dream to bring production home to the UK and, fingers crossed, this dream may not be so far away now! Keith Brymer Jones Storage Jar – keep out! 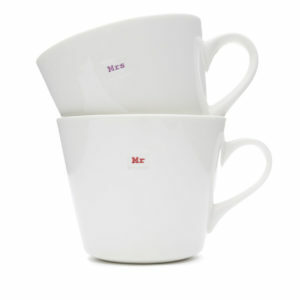 Browse Keith’s quirky, vintage style Word Range of designer tableware & kitchenware & buy online.